When you work with PeopleService you get a dedicated region manager who takes responsibility for your water and wastewater management, operations and maintenance. In other words, we manage all those things that keep you up at night. That’s why our toll free and cell phone numbers are on our cards and right at your fingertips. Establishment and implementation of required wastewater biosolids programs. Management, operation and maintenance of wastewater collection system (including lift stations) and treatment facility. Supervision and mentoring of facilities staff. Identification of ongoing improvements and efficiencies. Line cleaning and collection system flushing. Use of computerized maintenance program. Prepare and submit required regulatory reports. Prepare and submit permit renewal applications. Implement and maintain required testing practices. Assist in the development and update of municipal codes regarding wastewater management. Participate in compliance training to remain current with local, state and federal regulations. Assist to ensure proper rates for sewer services. Ability to provide a sewer billing program. Implement a safety program designed to comply with OSHA requirements. Participate in community programs designed to educate citizens of the importance of treatment systems in the protection of the environment and the health of individuals. Assist with preparation of five-year capital plans. Cooperate with engineers and contractors in plant upgrades or new construction. 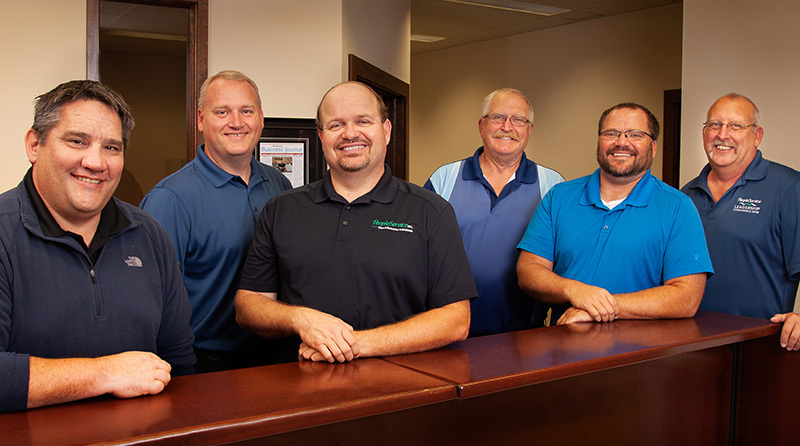 From program implementation to regulatory compliance to billing, we’ve got the experienced personnel ready to help assure it’s all done accurately, on time and up to standard.